The Florida Supreme Court’s decision in a ruling made in December expands the possibilities for victims of medical malpractice to hold all medical professionals accountable for their actions. In the case of Ruiz v. Tenet Hialeah Healthsystem Inc. et al., the state supreme court revived the claims against an anesthesiologist who was accused of negligently clearing a patient for surgery for a procedure that resulted in her death. According to the filings, the case arose out of a medical malpractice lawsuit against Dr. Arturo Lorenzo and several others for negligently causing the death of a patient, Maria Elena Espinosa. The case was filed by her widower, Rolando Ruiz. Ruiz claimed that Dr. Lorenzo cleared Espinosa for a tumor removal surgery, despite abnormal test results, and it resulted in her death mid-surgery from blood loss. Dr. Lorenzo was only with the patient for five minutes and was filling in for another anesthesiologist at the time. The lower courts dismissed the claims against the doctor and other medical professionals associated with the surgery. The state supreme court found that the dismissal of claims against Dr. Lorenzo was improper at the lower levels of court because the evidence presented plausibly alleged that the doctor was at least partially to blame for Espinosa’s death. The court found that so long as the actions are a substantial cause of the injury, that medical professional can be held accountable. Their actions do not need to be the exclusive or primary cause of the harm. 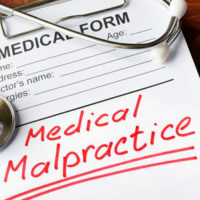 This opens up the possibility for victims of medical malpractice to allege causation with specialists and other medical professionals who may have had a hand in their malpractice injuries. This ruling allows for the victims of medical malpractice to hold all medical professionals that played a role in their negligent care accountable for their actions. So long as the victim can prove that a doctor, nurse, or other medical staff committed a negligence act that in whole or in part caused the injury, it does not matter how long or little time was spent with the patient, or to what degree their actions contributed, so long as they did so in some part. This may even include treating physicians or doctors that negligently clear patients for treatment in the days leading up to the injury, if it was a direct cause of the harm. At the very least, it allows juries in Florida medical malpractice cases the opportunity to decide whether a doctor’s actions contributed to the medical malpractice that harmed a victim. Were you or a loved one harmed by your doctor during a medical procedure? If so, you might have a claim for medical malpractice against the medical professionals that were supposed to take care of you. Call the office or contact us today at Gary Roberts & Associates in West Palm Beach to schedule a free consultation of your medical malpractice claims with one of our experienced attorneys.